The NASA space probe Pioneer 10 crosses the orbit of Neptune, becoming the first man-made object to leave the Solar System. It was launched on March 2, 1972 toward the red star Aldebaran, which forms the eye of the constellation Taurus. 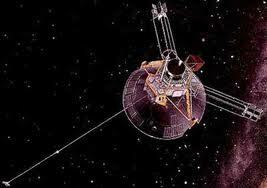 The last contact with Pioneer 10 was on January 23, 2003.